Includes MSAA and transparency supersampling options. Only mouse buttons can be bound and used, there is no cursor. Supports both horizontal and vertical inversion. Keyboard and Mouse prompts also available. 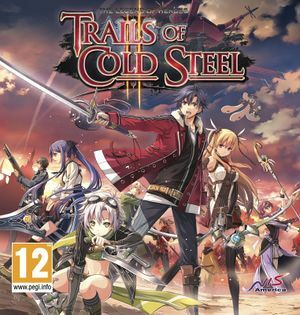 See Helix Mod: The Legend of Heroes: Trails of Cold Steel II. ↑ 1.0 1.1 File/folder structure within this directory reflects the path(s) listed for Windows and/or Steam game data (use Wine regedit to access Windows registry paths). Games with Steam Cloud support may store data in ~/.steam/steam/userdata/<user-id>/748490/ in addition to or instead of this directory. The app ID (748490) may differ in some cases. Treat backslashes as forward slashes. See the glossary page for details.